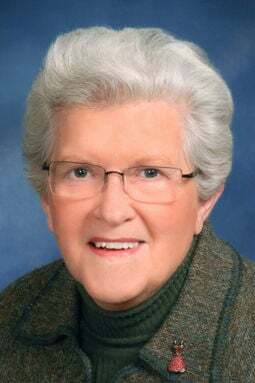 Beverly L. Gottsch, 86, of Lincoln, died April 16, 2019. She was born on October 27, 1932 in Dunnegan, Mo., to Herbert & Lela (Campbell) Brown. Retired RN. Beverly is survived by her children, Steven Gottsch and wife, Carolyn of Chambers, Stephanie White and husband Tim, of Valparaiso, Lisa Smith and husband Tom of Lincoln; grandchildren, Alison (Brett Walton) Gottsch-Walton, Megan Gottsch, Katelyn (Riley) Bonifas, Whitney (Jeff) Morris, Nathan White; and great-grandson, Corbin Morris. She was preceded in death by her parents; husband, William; and brother, Herbert Brown Jr.
Funeral service: 11 am Thursday (4/18) at First-Plymouth Church, 20th & D Street, Lincoln. Burial in Lincoln Memorial Park. Memorials to Eastmont Foundation or to Bryan Foundation. Condolences may be left at www.bmlfh.com.